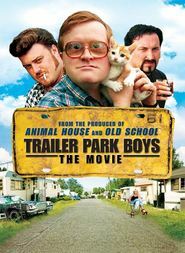 Living… in Sunnyvale Trailer Park in Nova Scotia, Canada, where he is the judge, jury, and executioner – or so he’d like to think. Even though his title is “park supervisor,” no one seems to heed his command, except for his assistant supervisor, Randy. Profession… trailer park supervisor. 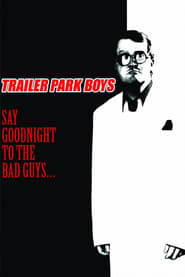 Jim (Mr. Lahey to everyone at Sunnyvale) used to be a police officer, but lost the job because of a prank played on him by Julian, Ricky, and Bubbles, three troublesome Sunnyvale dwellers. And even though Mr. Lahey’s not a cop anymore, he tries to act like one. He treats the park like his own personal zone of jurisdiction. When there is crime on the grounds – which is often – Mr. Lahey is there to foil it, or die trying. Interests… alcohol. Mr. Lahey doesn’t just like alcohol; he’s an addict. Although his alcoholism basically ruins his life quite often, he swears that drinking helps him think more quickly on his feet and solve problems. He’s wrong. Relationship Status… once married to Barb, with whom he has a daughter Treena. 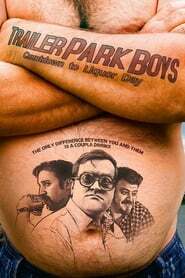 Mr. Lahey now carries on a semi-secret relationship with his ever-shirtless assistant Randy. As much as Mr. Lahey tries to keep it concealed, just about everyone in the park knows about he and Randy. Challenge… keeping the trailer park from burning down. 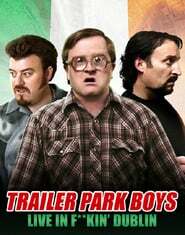 Despite Mr. Lahey’s best efforts, the park suffers terrible blows at the hands of Ricky, Julian, and Bubbles. Whether that involves cars crashing into trailers, sheds burning to the ground, or bullets punching through car doors, Mr. Lahey can’t seem to get a grip on these criminals, and therefore the chaos continues indefinitely. Personality… antagonistic, but with a (well-hidden) soft spot. Often drunk, Mr. Lahey forgoes his responsibilities most of the time, which is a big reason there’s so much crime in the trailer park. (That, and so many of its residents are criminals.) If Mr. Lahey didn’t drink, he might actually be able to get a few of these bad apples kicked out. 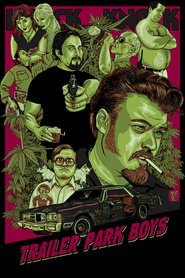 Yet Mr. Lahey also has a kind of fondness for Ricky and Julian, and because he’s seen them grow up, he can never truly hate them, as much as he’d like to. Jim Lahey's popularity ranking on CharacTour is #3452 out of 5,000+ characters. See our top-ranked characters and read their profiles.